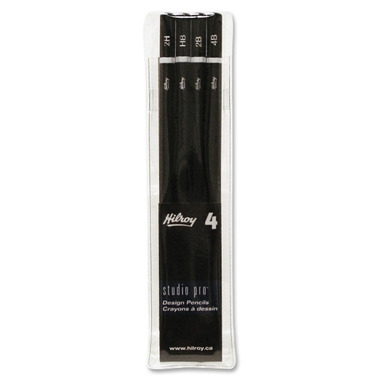 Hilroy Studio Pro Design Pencils are ideal for designing. With strong, break-resistant, long-lasting leads that write smoothly on any paper surface. Each pencil is pre-sharpened and hexagonal-shaped to keep from rolling. All pencils are packaged in a clear pouch.